Now that the daylight hours are becamer shorter, and the kids are back at school – seems we are once again welcoming in the Fall. As the weather transitions, so do we! We’re ready to get our layering on and get cozy. Of course, we’ve been keeping an eye out on the new trends for this Fall in both fashion and décor. Keep reading to find out a few of favorite ones! Fall is always marked by the gradual changing of color here in Vancouver. Fashion seems to have taken note and used the tones that we see in nature as Fall 2017’s color palette. With a neutral base of cozy and comfortable black and grey pieces, we suggest you add a hit of texture and color. At one of our favorite Canadian fashion retailers, Oak + Fort, we’re seeing texture added with pleats and a hint of velvet. Warm it up with some sultry tones such as olive green, maroon red, or a touch of burnt umber. Dusty rose is also in and looks beautiful as a jumpsuit like this one from Oak + Fort. COS another one of our fashion favorites (did you know they recently opened a location in gastown?) is showing a lot of Khaki green in their fall collection. We especially like this slouchy easy to wear, weekend staple jersey wool top. 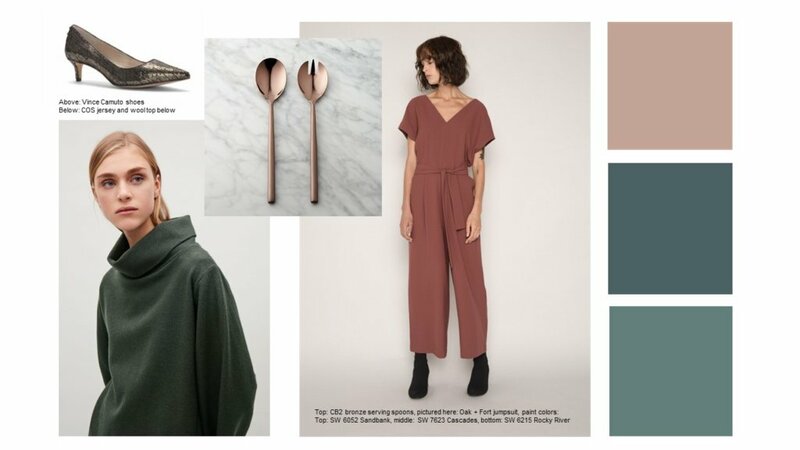 West Elm has paired up with Sherwin Williams to help forecast seasonal color trends. Looking to paint an accent wall? Check out Sherwin Williams Rocky River SW 6215, Sandbank SW 6052 or Cascades SW7623 just to name a few of their suggestions. Who says that we can’t embrace the dark side? 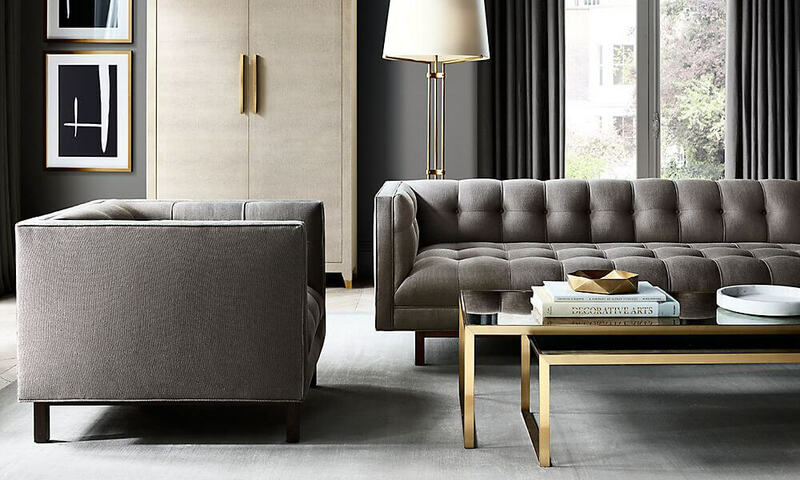 Design trends this season are leaning towards a moodier space. As we were saying before, it’s all about texture and creating warmth. We’re seeing black and deep browns such as walnut as a backdrop. Looking to create some drama? Use black as a statement wall contrasted with white and embellish with brass or bronze accents. Nothing too over the top (remember less is more). A set of brass toned flatware or these bronze serving spoons from CB2 might be perfect to add a little spakle to your Thanksgiving dinner! Looking for a little more impact? West Elm has a new line of LED lighting by New York city studio Bower which offers simple forms and a hit of the current brass trend with their collection of pendants and table lamp. Art deco also seems to want a revival, but we think there can be a tasteful way to do it. If you are looking to change or add a piece of furniture, why not give a warm and buttery brown leather armchair a try. No, we are not talking about a La-Z-boy. We are seeing these beautifully crafted armchairs like the Uno Chair from Suquet Interiors, which would be a stylish addition to any space. Perfect for a night in with a good book and a glass of wine! Have you ever spent hours flipping through magazines, scrolling through Pinterest and Instagram and then realized that the images you like are all similar… or worse, all vastly different? We all gravitate towards a style whether we know it or not! Before you waste too many hours Googling all the different design styles, we have created a quiz that we think will help you figure which style you are. Answer these five questions and keep reading to find out your style! Which stores do you like the most? Old Faithful, nineteen ten, Scott Landon and Union Wood Co. If most of your answers are A, you are traditional. As a child you dreamt of living in a palace and to this day that dream is still somewhat alive. You marvel at intricate details and you prefer classic pieces. You’re not afraid of ornamentation and you believe that a little glitz can make a space feel luxurious. If most of your answers were B, you like the country style. Your favorite getaway is to your family’s cottage or cabin. You like pieces that aren’t perfect, but are well loved. You’re not afraid of a bit of pattern and color. Your goal is to create a cozy atmosphere that isn’t too precious. If most of your answers were C, you are the industrial style. You love cities like Portland and your favorite area in Vancouver is Gastown. For awhile you have wanted a loft with soaring high ceilings in an old repurposed warehouse. 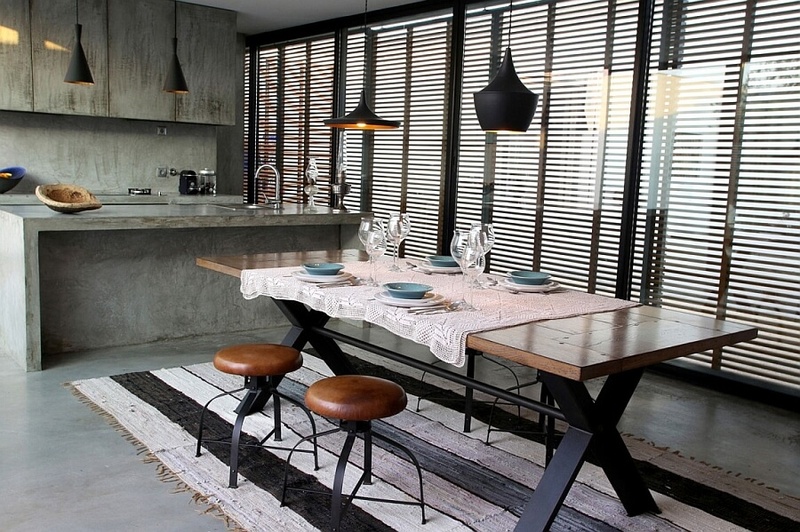 You love the look of concrete, tarnished metals, natural and distressed woods and worn leather. You would like to create a space that you can comfortably work, live and entertain in. The wear and tear only adds to the aesthetic. If most of your answers were D, you like the modern style. You appreciate buildings designed by greats such as Mies Van der Rohe and Le Corbusier. You want a space that feels organized and streamlined. 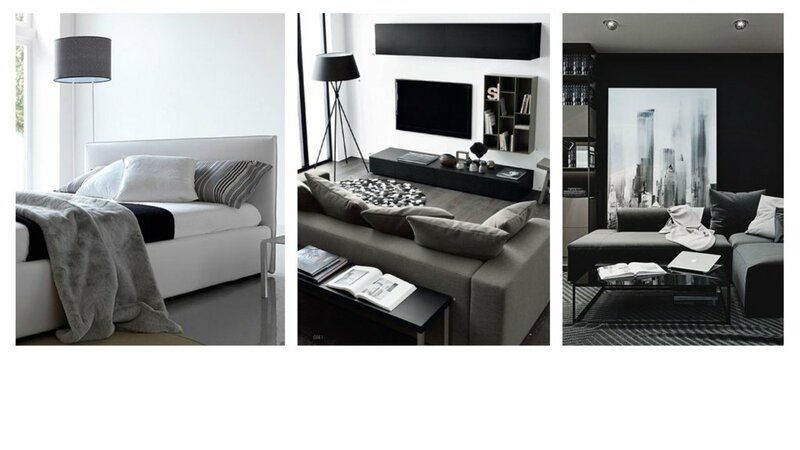 You enjoy the clean minimalist look of white and opt for hits of neutral colors like black and grey. The use of textures like wood and wools add visual interest. You want to create a space that is a calm and relaxing. Less is more.